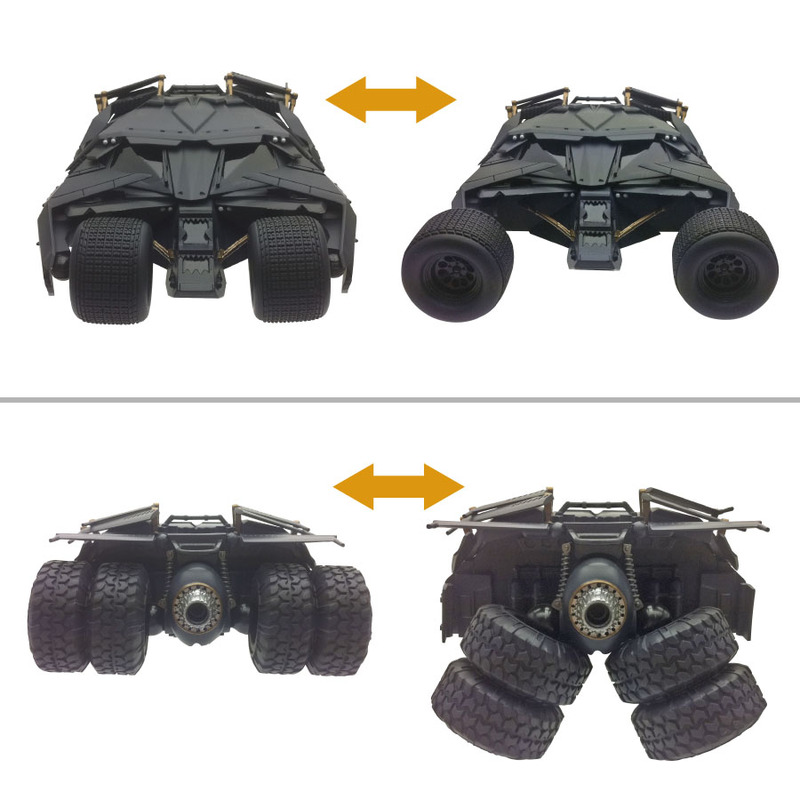 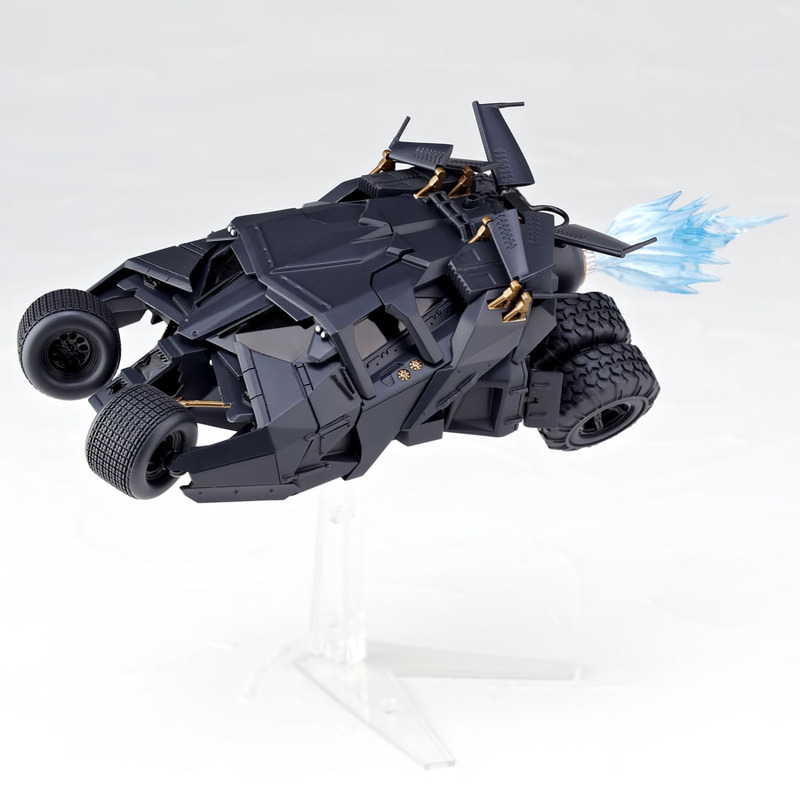 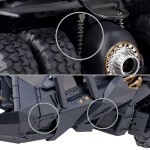 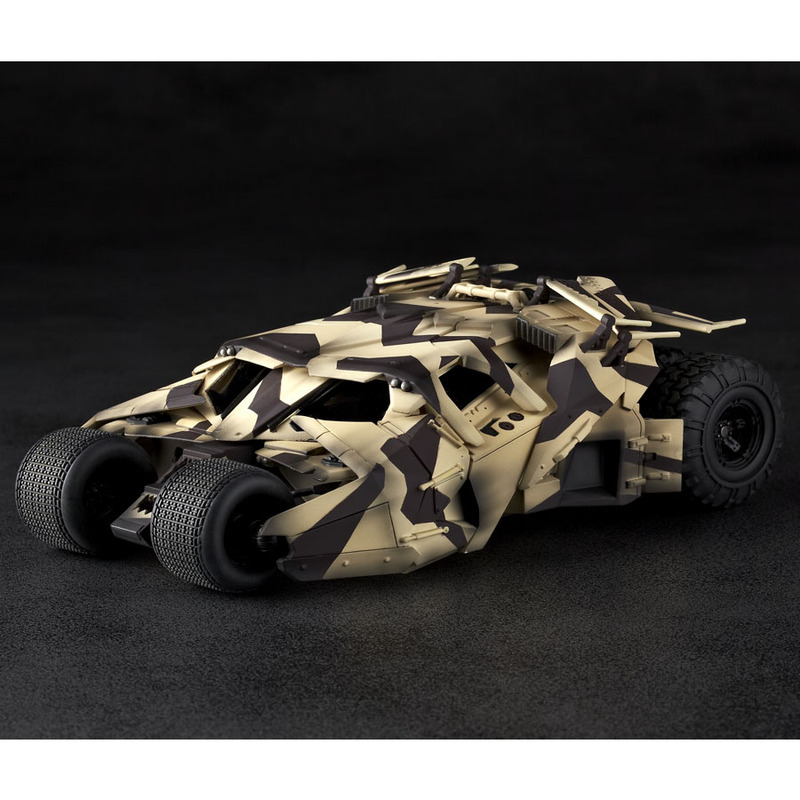 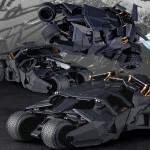 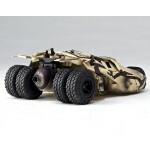 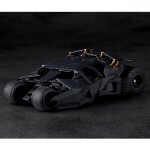 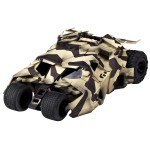 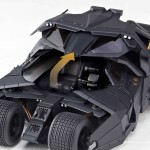 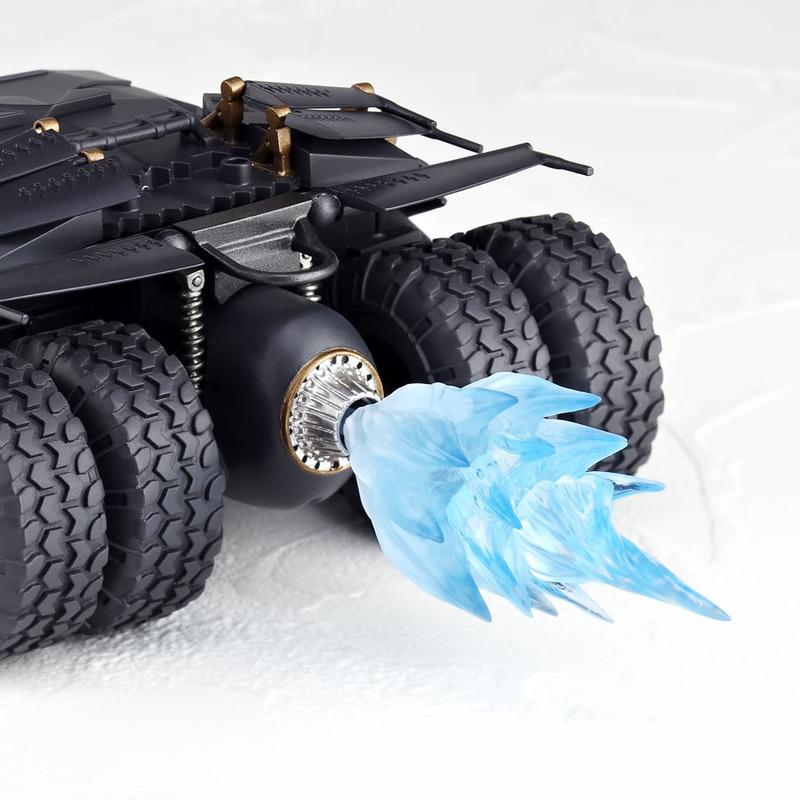 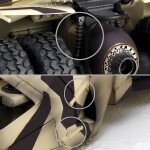 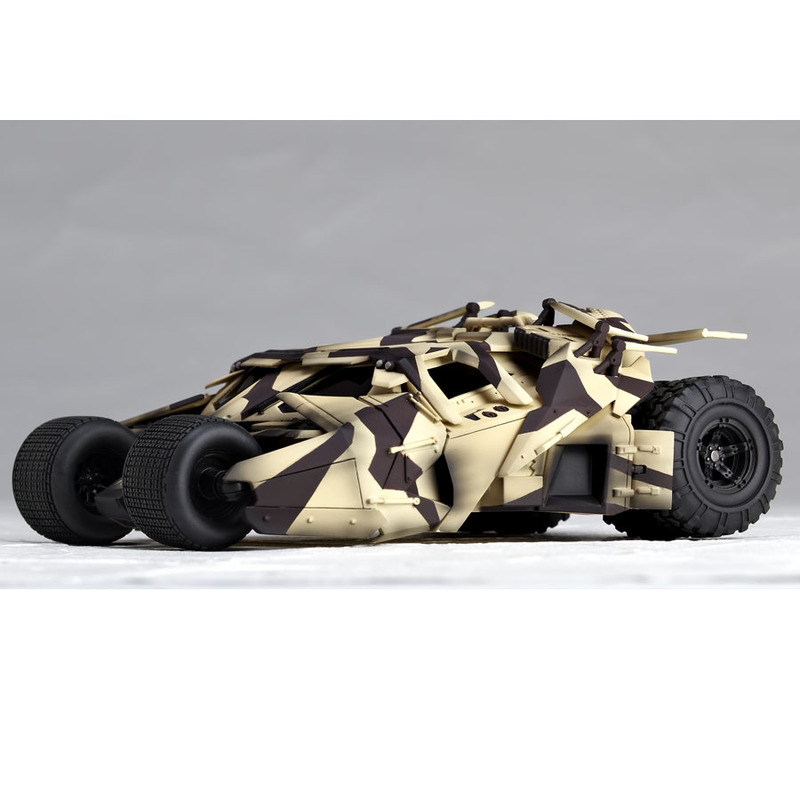 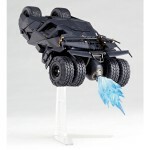 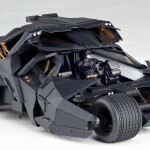 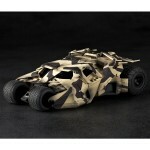 Tokusatsu Revoltech has posted a bunch of new photos of the upcoming The Dark Knight Rises Tumbler and Camouflage Tumbler Revoltech Vehicles. 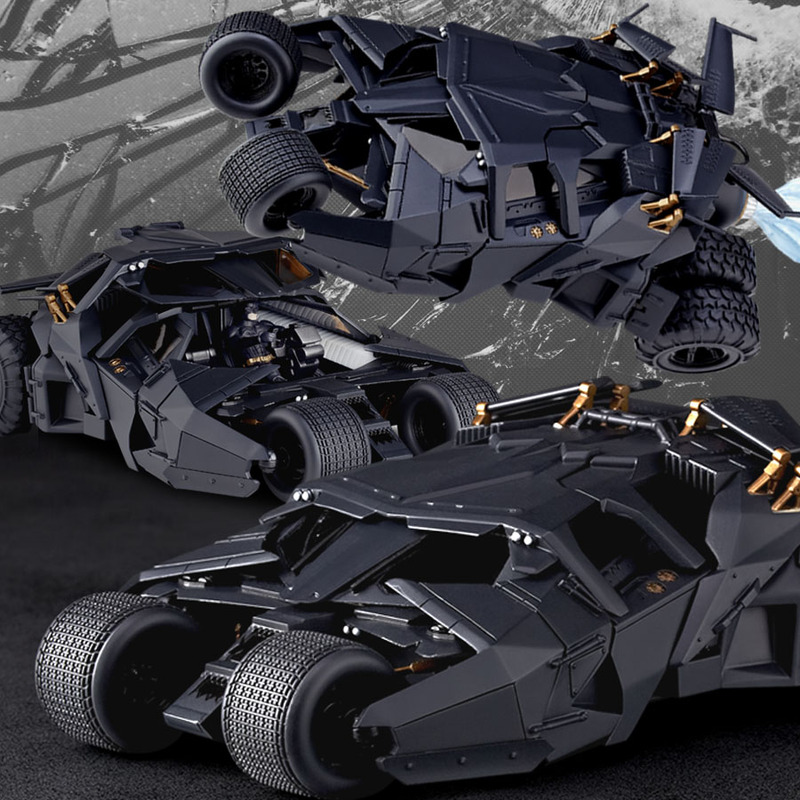 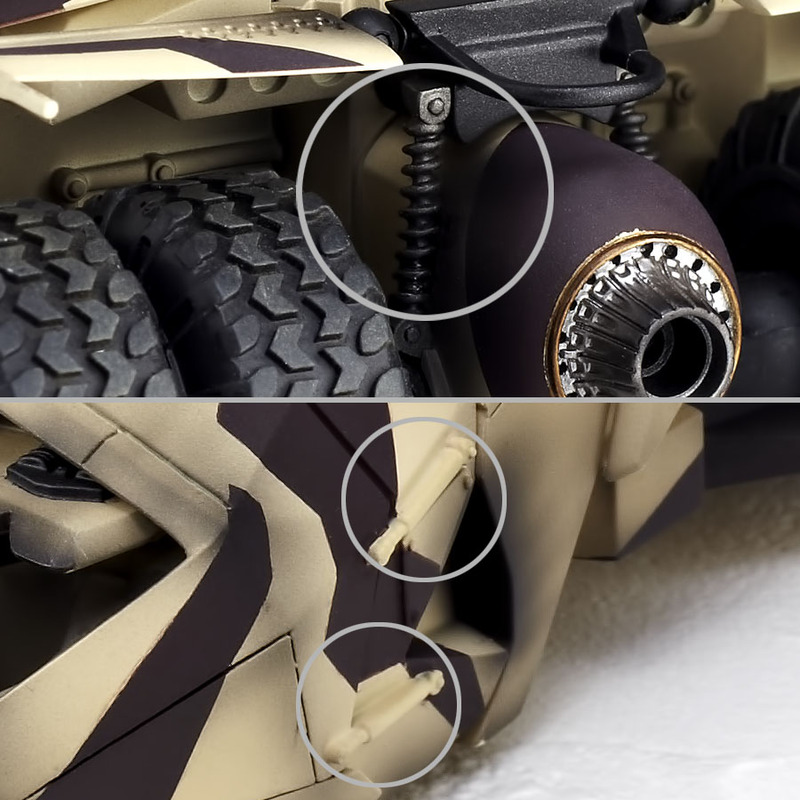 These vehicles are 5.5″ long, so they won’t fit with the previously released Revoltech Batman. 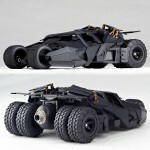 But the, sorta, good news is that they will include a Batman figure that is in scale with these vehicles. But that figure will be in a static sitting pose. 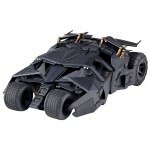 They are expected to ship in the 2nd quarter of 2013 with Big Bad Toy Store selling them for $64.99 each. 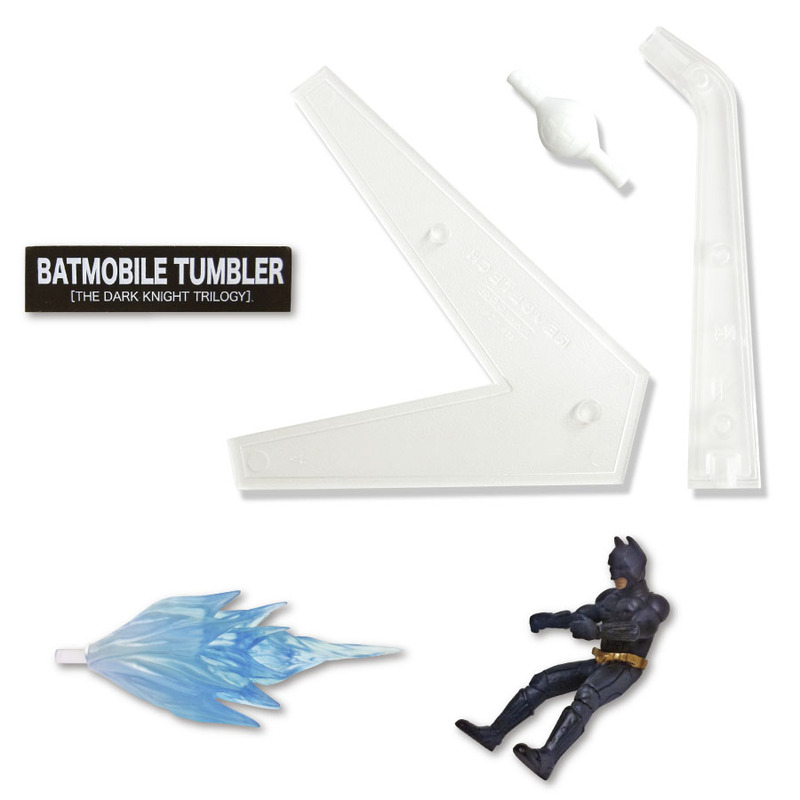 Pre-order them Here. 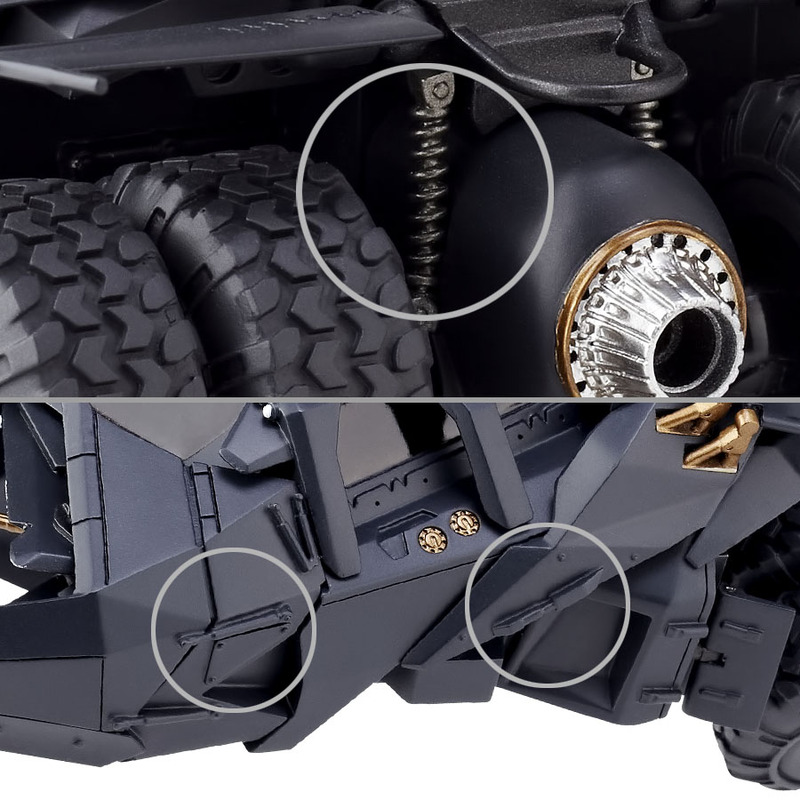 Are these scaled to the already released figure? At that price they won't be. 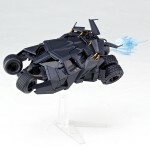 Revoltech has done a satellite, a submarine and the like before and they're the same size as the rest. I don't think so, the pics up on BBTS makes it look like it comes with a Batman figure but I suspect he is wee, possibly in the 2" range? 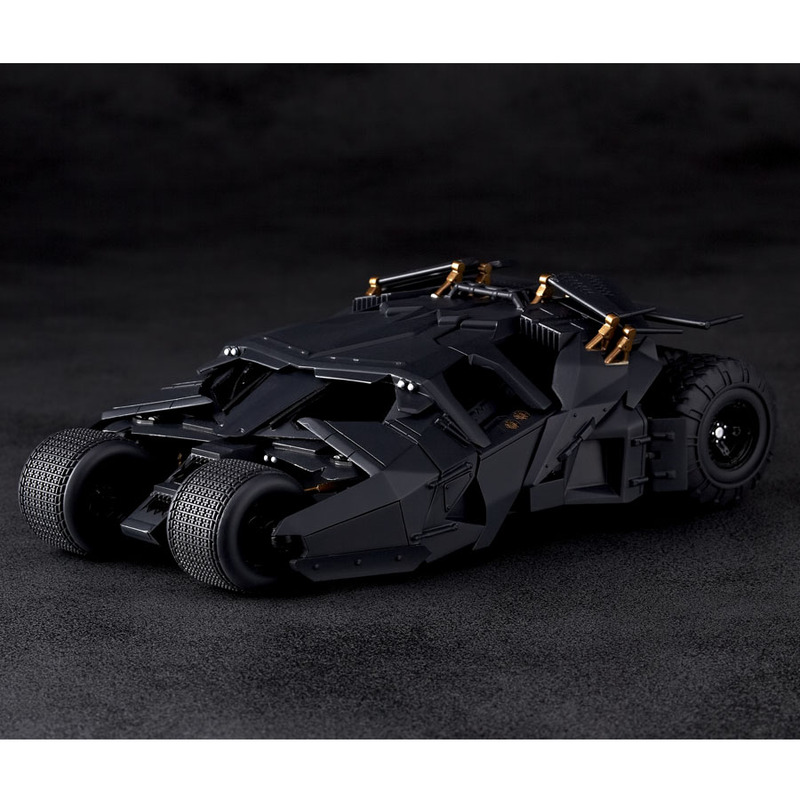 I want it on my collection, awesome, but... too little maybe for the expensive price. 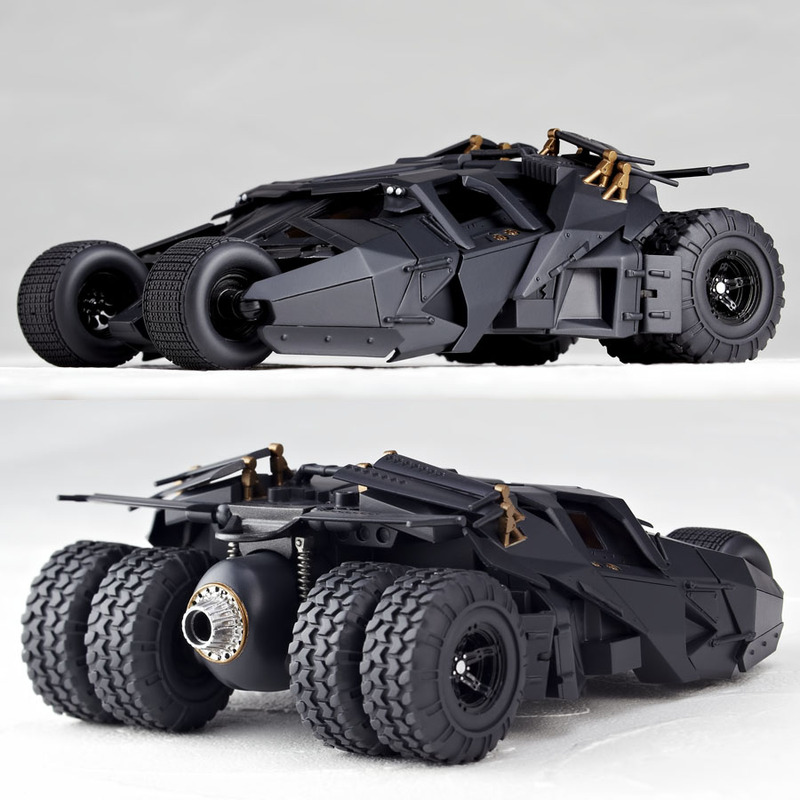 Nevermind, It will be mine.